I have a purpose for my Twitter account (teachagiftedkid). I follow educators who teach or advocate for the gifted child or who are educational technologists. Having a specific purpose for a Twitter account as an educator is the ideal personal learning network (PLN) for me. Gifted educators are usually loners on a campus who deal with the specific needs of a unique but small population. With Twitter, I can share and gain useful information about educating the gifted child with the entire world. I’ve elicited responses from my followers on resilience in the gifted child to use in a blog entry that is yet to be written. Just this morning, I followed a link provided by a fellow Twitterer to come up with a draft for a new parent observation survey borrowing from a checklist from a school in New South Wales. I’ve read articles posted in the Boston Globe, NYTimes and Gifted Examiner on topics that deal with educating the gifted child. I learned that the educational system Philippines actually celebrate their gifted during a week long event. In what other readily available and free format would you be able to share with a gifted educator in Australia or New Zealand from a computer in Texas? Or with the major contributers to notable gifted sites such as Hoagies.net, TXGifted, NYGiftedEd, Giftedkidsie (out of Ireland), ByrdseedGifted (out of CA), or DavidsonGifted. The Davidson Academy publishes a complete list of gifted educators on Twitter and Facebook. I really like how msgregson uses Twitter to direct educators to her spreadsheet on Google docs and allows all who fill it out also view it – seamlessly! I spent about 30 minutes today trying out several educational game sites that I have added to my del.ici.ous account (afrench2) so I can pull them up later in the classroom. I would have never tried the art masterpieces portion on www.freerice.com without a link provided by one tweet. Unfortunately, this technology is like that creatively gifted, ADHD third grader who blurts out everything he or she knows which consists of a few wild and silly ideas along with some highly observant thoughts. This explains why school districts mostly filter it out on their campuses. Just how does a school district ‘keep the lid’ on this one? If you are an educator, you may want to consider starting a Twitter account. As with all technologies, you’ll experience some frustrations along the way. Just be patient and start small. If you do start a Twitter account make sure to dm @teachagiftedkid. I’ll introduce you to some friends of mine. My first entry was March 14, 2006! I had no clue when I started my blog, just got curious about that today. Funny, that I looked two days before my first entry. At that time, I was looking for a job and getting used to my new home in Texas. Not much has changed since then although much has happened in between. I like to think that it’s all about the journey and not the destination. I’ll check again in another three years. People are a distinct species known as the homo sapiens sapiens. Do you realize the full impact of the thought that you are ONE in 6,751,687,611 humans in the world according to the best estimates of the U.S. Census Bureau on 01/05/09 at 00:06 GMT (EST+5)? My mind has been churning lately on just how many homo sapiens sapiens there are and have been in the world. Each with their own thoughts, desires and needs. Each looking daily for their sustenance. Do you realize right now that a mother of two may be cooking a meal in her big kitchen fully stocked at the same time that a mother of ten is cooking over a fire in a worn pot using what she can find? Do you comprehend that around half of the 6,751,687,611 people in the world are preparing, storing or throwing away food at the same time? I have watched the driven suburban mother on her cell phone urgently telling someone to pick up their child from soccer while scanning the grocery shelf like her family is the only family in the world doing the same thing. We can easily find opulent images of the wealthy and healthy on the billboards, in the newspapers and on the net. Then in one the matter of a second we can see images of the depravity and cruelty that exists around the world with humans in all types of situation. Consider people enjoying their yacht lacking nothing then swing your mind to the starving child that has nothing and you can understand why I feel the urge to explore this issue. Now, take the vertical plunge and imagine the images you’ve seen from the past – the remains of a prehistoric homo sapien sapien, the artwork portraying a Pharaoh of ancient Egypt or learn how many people died from the Bubonic Plague in the Middle Ages or the black and white photographs men lying on Normandy Beach on D-Day. As archeologists explore more and more of the layers of history in areas such as South America, the ancient Puebloans living in the valleys of southwestern Colorado, and the Middle East, science is discovering that humans have lived, loved, and learned since forever. You are reading this blog because someone in your life, be it the government or an individual made sure you had an education. According to UNESCO about 80% of the people in the world are literate. You are one of the lucky ones who can read AND have access to the internet, 1,350,337,522 people cannot. Well, that’s just some food for thought. Take the time to listen to Mike Wesch, the US Professor of the Year. I want to thank my friend, Nancy, for her discussion on his video. The “WE” in education is critically important in any classroom from 1st graders up to university classes of 400+. The teacher who can inspire the community to go beyond learning for the test is the teacher of the future. How does a teacher know when they have succeeded in teaching the individual to truly love learning? When the student no longer comes up to ask questions like “How long does this essay need to be?” or “What I need to study for the test tomorrow?” I can truly relate to the statement Mike makes about when the student knows the ‘why’ the ‘how’ does not matter. In terms of my own life: I understand why I need to work two hours to mow my two acres of grass so I don’t mind putting in the effort to do it. The reward for me is how beautiful and healthy my yard looks not how it measures up to someone else’s standards. Gifted teachers MUST realize that it is no longer a time of ‘let me fill your head with wonderful knowledge.’ It’s time to teach critical thinking skills, problem-solving skills, researching and communication skills then to provide a multitude of opportunities for the students to collaborate and communicate what they have learned. It’s time to get away from the cutsy themes such as rainforests and cowboys and move into the ‘how and why’ it is important for us to learn about them. We need teach our students how to ask relevant questions and come to logical and substantial conclusions about what they have learned. Share this video with all the teachers that you know! It’s not only good for gifted students but for the 1st grader who will be functioning in the world as an adult in 2024! I consider myself fairly tech-savvy but I learned something that probably most tech-savvy people already knew: the Monday after Black Friday is called Cyber Monday. This is when companies make a big push to get you to order online. I decided to check my Business filter in GMail, and found 86 emails from companies like Barnes & Noble, Solutions and ShopPBS.org, etc. I just cleaned out that box yesterday! Most of my Christmas shopping was done in the stores in the past with a few things ordered online. I had already decided to do most of my shopping online this year, taking the cue from my friends who recently moved to Nigeria. About two months ago, I decided to take my name off at least 25 catalog mailing lists thinking I would make my mail person’s job much lighter and save a few trees. Unfortunately, the work load is about the same. The retailers had warned me that it could take up to three months to see any results. Seems like the retailers could have come up with more interesting titles for this tech phenomena like Slamming Monday. But when someone tells us that we have to make them succeed, it changes the whole feel in the classroom. As a teacher I am no longer responsible for my students but rather for their success. And not the student’s idea of success or even mine but someone else’s. And we are accountable not to the student or to ourselves for that student’s success but to that “someone else”. My experience as a gifted teacher in the public school setting and then in the private school setting were vastly different. In the public school setting, I was not expected to get my students out to every type of competition but I did encourage them as much as possible. I would have even joined them on a Saturday to be their cheering section. Because of the personalities of my own two gifted children, I understood that some gifted students thrived on competition, others do not. My position at the private school was another matter entirely. I was expected to attend training (on a Saturday), redesign my instructional time to prepare the students, and give up my weekends for competition. All students were expected to compete, even to the point of being lectured if they did not make it to the competition. I was expected to get my students to enter any and all writing competitions that passed over my desk (whether they were ready or not) and the writing skills of this particular crowd was very stilted, uncreative, and underdeveloped for most of the school year. I understand that private schools need to get their name ‘out there’ to obtain more students, it is how the administration goes about setting expectations that ruins the experience for all concerned. This is where Nancy nails it! Once I am held accountable to that ‘someone else’, I’ve lost all buy in, I’ve lost the true purpose of being a teacher and encourager. 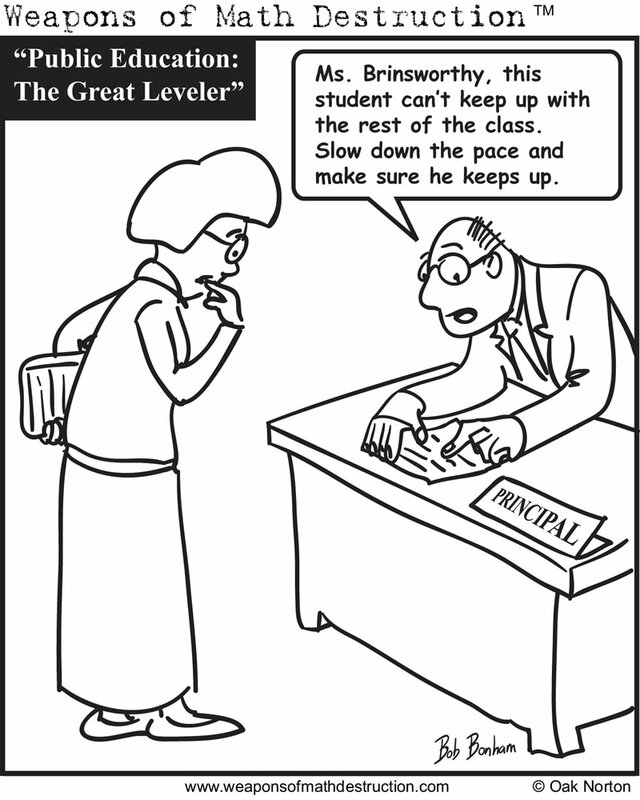 A truly good administrator knows which teachers on his/her staff is out there doing their job because they love it. They will somehow compensate those teachers who work above and beyond their usual eight hours. These administrators focus on how the student has benefited from participating in these competitions – not on how their participation has benefited the the organization! I have high respect for my predecessors in my field. They were teaching during a time when accountability and testing was not reigning king over the profession. My children benefited from their passion and experience. They are my role models and I tried to emulate them as I taught. I was discouraged to discover that my last position did not value my passion but took my passion for granted. Amber and I visited our New Orleans/Mandeville friends for four days a couple weeks ago and I’ve been meaning to write an entry about it. First, we want to thank our friends, Rocky and Julie, for providing us with a great place to stay. We’ve known them since their youngest boy and my oldest, Adam were in school together in kindergarten and first grade at Lieder Elementary in Houston, moving to Louisiana as 2nd graders. (Both boys are out of college and happily employed and were educated in the gifted program in St. Tammany). Amber (who is leaving tomorrow for a Masters program in International Relations in Paris, France) made arrangements to meet up with Justin, who completed college in three years and is employed as an auditor in the banking industry. He graduated a year after our boys from the same program. I’m always impressed with his knowledge of fine food and wine after working as a waiter in some of the best restaurants in the New Orleans area. Our second lunch date found us at Coffee Rani’s in Mandeville talking about what it was like to grow up gifted. Kristen and her mom just returned from a SENG convention. Her mom manages a preschool and now looks out for giftedness with the little ones in her charge. Kristen completed her college early, started a masters in PA but found it to be not what she expected and is back in town while she calculates her next goal in life. The cafe was completely emptied of its lunch crowd by the time we disengaged. Being labeled gifted, as most educators and parents know, can good and bad, based on the individual’s experience and life circumstances. Our mother/daughter lunch came to the conclusion that our girls were better off in the gifted program because they were challenged intellectually but their social/emotional issues weren’t really addressed. We also discussed how going to a large public college was like being thrown back into regular classes, even if you were enrolled in the Honors College. Amber made the comment that it seemed like the smaller college was more gifted-friendly. That was her experience anyway. But the shocker for these girls was how the real world treated them now. They had realized that the grown-up, real world could care less if you are gifted or not. (Quite a wake up call for the young adults and one stated by my son in an earlier conversation.) After discussing the status of many of their classmates (one doing drugs and playing in a rock band, one working at a daycare in a fitness center, one working in Alaska in the oil fields, etc. ), we came to the conclusion that what mattered the most was what one does with their giftedness. We noted that all these classmates are still driven to digest knowledge yet choosing jobs that seem to be unrelated to their giftedness. If you are ever around any of the individuals, you will notice that their intensity is still present. I can look at all this from the viewpoint of a mom and an educator. Most well-meaning educators and specialized programs miss the mark when it comes to knowing just what the gifted child needs for their intellectual and social stimulation. Although St. Tammany has a well-developed full day gifted program, it fell short in the social/emotional area. We came to the conclusion that any gifted program must pay attention to the social and emotional needs of the student in order to best prepare them for future obstacles. Parents needed to be fully informed and supported in learning about the difficulties and joys of raising a gifted child. We also realized that children must be provided opportunities to develop tenacity or ‘stick-to-it-ness’ when faced with difficult situations. The bulldog mascot of their high school came to my mind as we talked. We had lunch with another mother/daughter friend. This time, our discussion took a turn to the future and opportunities. This class mate had just returned from a trip to Morocco within her nursing program. We discussed how the US has so much compared to other parts of the world. I couldn’t help but thinking how we take our opportunities for granted rather than work for the greater good of our world as we talked. Lunch with our daughter’s best friend’s family, Brennan, was also a joy. It was so cool to learn that he was selected to introduce Hillary Clinton at a recent speaking engagement at his college back east. This was the guy in high school who challenged the rules at every turn but did it with the expertise of a fine surgeon. He knew just how far to go to make the administration of the school look silly while staying out of serious trouble. He’s going on to law school soon. If I ever meet him in court, I want to be on his side! Our last lunch was with Bobby. Bobby was the only one that we met during our stay that was not educated in the gifted program in St. Tammany, rather he was in the gifted program in New Orleans. He started at Tulane but because of Katrina, his degree plan was discontinued. He finished his Computer Science degree in Missouri and is back now seriously considering a career with the NOPD. Another guy I would want on my side. I’m so proud of all my son and daughter’s classmates in all their adventures after their ‘gifted’ education because I know that each one is making a contribution to their world in their own way. I also realize that it’s not enough to be gifted in our world. It’s not enough to provide accelerated or enriched programs one day, two days or even five days a week for our children. We must also provide them with opportunities to struggle, to fail under controlled situations, to overcoming obstacles and to understand what it truly means to be just a little different. Below is a posting from my friend Stacia. This group does great things for the profoundly gifted population in the Houston area. Some of my readers may find this information helpful, so I’m posting their announcement here. You can also find more opportunities for the Houston area gifted on my Gifted Minds, Texas page. history of growing up gifted. They will learn how to interview; videography; ethics and law (copyright and liability), etc. The younger kids (likely 7 and under) will create an oral history project around man’s first walk on the moon. They will learn to interview and create an oral history and learn the how to document these interviews. We will add sign language from 4:45-5:30. If you would like to participate in sign language, please be prompt. If you are late, it disrupts the class. If you are not interested in sign language, please arrive promptly at 5:30 for class. We are going to ask the minimum age for participation be five years old. The group settings are set to “no attachments” so if you are interested in participating in the co-op; please e-mail me and I will send you the appropriate forms. The cost for the semester is $60 per child. This includes all supplies and necessary equipment. We do not offer sibling discounts at this time. We have worked very hard to keep the cost as low as possible for everyone to participate and this makes it difficult to offer a sibling discount. I once heard the analogy that visiting a classroom for a day is like looking at the tip of an ice burg just above the surface of water. I feel like have now broken the surface of the water and am peering down below in the clear blue water. I’m seeing just how much I have to learn about teaching such a wide range of individuals. The challenge now becomes one of providing quality educational experiences for at least four different levels of learners. It is a daunting challenge for a fifth year teacher and an ominous challenge for anyone without education training or background; one that should not be undertaken alone. Luckily, there is research being done on a continual basis in the field of gifted education. Also helpful are the links to resources online, information available at public libraries and bookstores and other experienced educators. I was speaking to a parent of a profoundly gifted student the other day when I reiterated something I experience while working and living in Louisiana. Changes are not made by one individual alone. Many must group to together, all using the resources and research available to create the best environment to educate our children. Not only does this benefit the gifted, but it should also benefit ALL children. It has happened and it can happen again. The Davidson Institute provides a monthly email highlighting what’s being done now in gifted education. The last email provided links to the gifted and talented programs in two states: Pennsylvania and Louisiana. Apparently, the Davidson Institute has found that only these two states mandate the IEP as a vehicle to provide appropriate education for the gifted child. Pennsylvania boosts a 50 year involvement in the field, and from my own experience, Louisiana has at least a 25 year involvement. The use of the Gifted IEP provides an open communication for the school and parent to meet and discuss how best to meet the needs of the child. The best educational environment is chosen for the student from what is available in the system. In the area that I taught, north of New Orleans, those choices ranged from Inclusion, Resources, Enrichment, and Self Contained. So my blog entry went from the classroom to the gifted education in the United States. Are we just breaking the surface on this important part of educating a child? Are we ignoring the good that some states are doing because we think our ‘process’ is better? Are we actually looking at the ice burg below the surface or the distorted reflection of the burg through the surface of the water? Are we taking an honest look at how best to meet the needs of these unique children? We have to be honest with ourselves and realize how daunting the challenge is and continue to use all the resources available. Here are some blogs containing viewpoints about the recent article about educating our gifted students. Please take the time to read through the comments at the end of the article as well and make some comments of your own on how you would suggest the system be ‘fixed’. These are just two blogs that I have recently come across in my travels. If you know of more, please feel free to send their web address on to me. Alrighty, I’m Happy Zen, or Zennie. Any friends will, of course, know my real name. Ayway, I’m fourteen, and I live in Texas, which is cool. I don’t, however, plan on living here for the rest of my life. No way. I want to live in Italy….or Spain. Or both, haha. I LOVE theoretical physics, and I have a proffesor mentoring me. I’m also a big philosophy person, and I really liked a three week class I took on philosophy of the mind. I think I’ll be a neurologist someday, so you can all look for Dr. Happy Zen when you’re older. I would probably go into neurology research though, because if anything else happens to have something to do with sticking a needle in somebody’s brain….forget it. As far as recreational goes, I have been fencing competitively for about three…almost four years. All around, four and a half to five years. I started in foil and I am now in epee, and I love it. A recent hiatus proved that. Oh I missed it…and my Russian coach of course. So I went back this months before the competitive season really kicks off to get some lessons in which(may I add) are going fantastically. I love to write and draw, but I stick to what I know so if anyone knows a good online place to learn how to draw realistically(animals hopefully) I’d love you forever if you gave me the link. I love Phantom of the Opera, and I saw Wicked in April, which is so amazingly fantastic and I cried in both. Hahaha, I guess that’s not saying much because it doesn’t take much to make me cry. Oh well. I am right across from my house and I see a big tree on the left. There is a palm tree, bushes, and a few flowers on the right, same for the left side of my house. When you enter there are to sago palms and a gate. You enter the gate into a small courtyard then there is a door, my front door. The door has shiny windows on it. It is bordered by an olive green color. When I open the door there is a living room and on my left there is a hallway. The living room is in front of me. You can sort of see the backyard. I will enter the living room and there will be a door to the kitchen. I go to the kitchen first thing. Usually my cat(s) are there meowing for water from the sink. The cats are usually on the counter or the kitchen table. I like the fridge, because when I walk to it I’m hungry. I also like the pantry, that’s where the good food is. I am hungry when I go to these places. Next, I go to the bathroom, because when I come home I usually have to go to the bathroom. I have 4 cats and 2 dogs. The dogs are in the backyard. The cats are usually in the kitchen or in my mom’s bedroom. I also have 2 fish, but there at my dad’s house. In my kitchen there is a table. That’s where I eat, or I eat at the counter where there are a few stools. I have memories of conversations with my family and eating. Well of course eating, because it’s a kitchen! Then I go thru the dining room into the hallway into my bedroom. I like sitting on my bed with a laptop or with my cat purring while I pet her. I like to pace in my room while I talk on the phone. I also like to read in my bed. I like my bed, because I like sleeping in it and it used to be my sister’s. I walk thru the hallway, and into the living room, out the back door in the kitchen or the living room. I see my dogs, usually sitting or sleeping. I look at the rocks and trees behind it; I take a deep breath and Splash! I’m in the pool and swimming in the heat of the sun. I see a 1 story house with 3 pine trees; the driveway is empty, and the curving path to the front door is surrounded by bushes. The bricks are red. I walk towards the front door, and I see a regular-sized door with a beautifully designed window. I see a tile with a rug in the middle; straight ahead I see my living room. To my right I see my music room, and to my left I see a hallway. I go to my living room, and I see my parents. I can smell something cooking, and my 1-year old brother is walking around. I move towards my brother. He makes me happy when he giggles. He looks at me and starts laughing. I go to my room and I play with my miniature basketball toy. It makes me smile. I have a hamster, and his name is Fidgety. He is cleaning his face. I go to my kitchen my dad is there. He is cooking my favorite food, steak. It smells very good. I see the sink full of dishes. As I go back to my room, I walk past the hall. I see pictures of me when I was young. I trot into my room, and I get my baseball cards. They are special to me because I have collected them for a long time, and now I have a huge collection. I look at the pictures of the players, and then I turn them around and look at their statistics. I remember when I got my first baseball card. I go to my backyard and it is very muddy. I sit down in a chair, and it is hot and humid. I look at the clouds. For awhile, I just sit there, thinking of how lucky I am compared to some people in the world.